AN ACCIDENT on a steam locomotive left three footplate crew injured at a steam festival at Stoomcentrum Maldegem – the leading heritage steam railway in the north of Belgium. The incident took place on April 30 and happened as the loco – No. 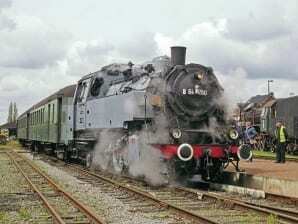 64 250, a 1930s German-built 2-6-2 tank engine – was hauling a passenger train on the line from Eeklo to Maldegem. The loco was visiting for a special gala weekend from the CF3V heritage operation in the south of Belgium.